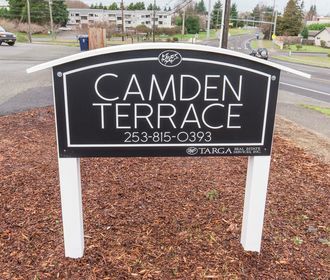 Experience the luxury of location at Camden Terrace Apartments in Tacoma, WA. 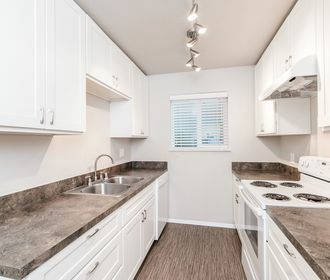 Located just north of Ruston Way you will revel in your new home being a few short minutes away from Tacoma’s beautiful waterfront that offers tons of delicious dining options, eclectic shopping opportunities, Cinemark Theaters, Point Defiance Zoo and so much more! Stay inland and enjoy the convenience of being located near grocery shopping centers, gyms and coffee shops. 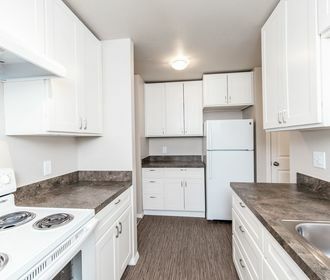 Camden Terrace offers beautifully renovated 1 and 2-bedroom homes that adorn highly desirable modern all matching stainless steel appliances, brand new hard surface flooring and the highly coveted in-unit washer/dryer. Community amenities include a beautiful city side view and a well-maintained onsite laundry facility. Camden Terrace is also a pet friendly community, please refer to our pet policy to ensure that your furry companion meeting our guidelines! Don't miss out on this hidden gem! Apply online through the online leasing program or call to schedule a tour of your new home today!